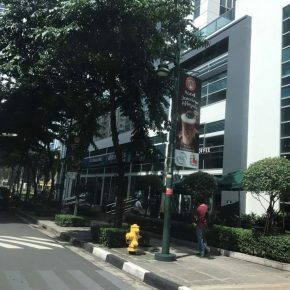 Bonifacio Global City (BGC) is one of the most sought after locations in the Philippines whether for office, residential, and commercial/retail use. BGC is sometimes called the Fort, Fort Bonifacio, or just Global City. Ground floor commercial space ideal for restaurants, showroom, or salon/spa. The sought-after space is ideally located at the Crescent Park area where the volume of traffic is related to high-end schools. Please call 0917 8225798 for other units that may be available at the time that you call. Or you can message your concept first.